Hotel Hotel is a property brought about by the Molonglo Group. They worked with more than 60 artists, makers, architects, and designers to bring about the hotel’s unique and quirky charm. 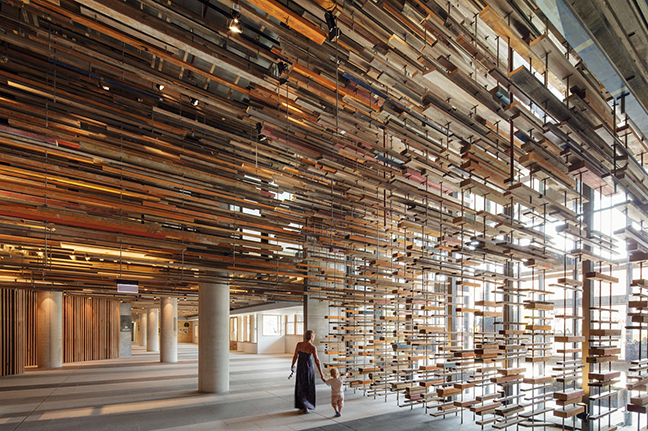 Guests enter through the massive entryway of suspended, salvaged wood which makes quite the statement. The “explosion” of wood is made up of more than 2,250 pieces salvaged from the original building that was torn down, a basketball court, and a house. 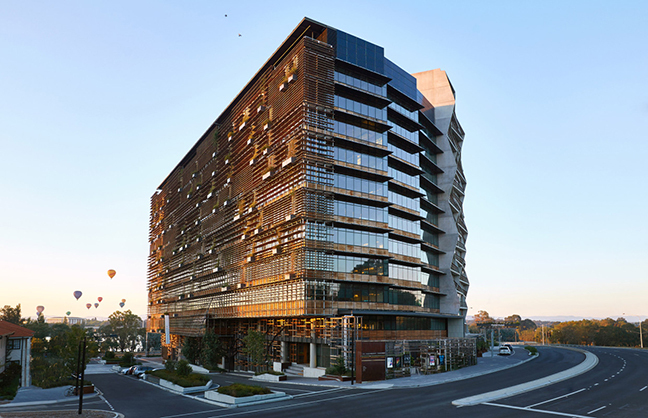 Hotel Hotel is located within the pineapple-shaped Nishi building within the city’s arts and culture neighborhood, NewActon, and takes up three floors in the building. Each of the 68 rooms is unique with inspiration coming from the Australian shack. 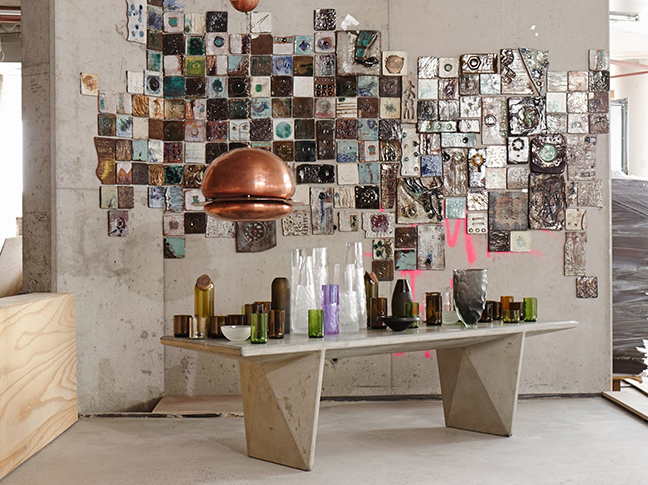 Walls are made of clay, beds of salvaged oak, and each room is topped off with thoughtfully selected original artwork, collected objects, and restored 20th century Australian furniture. 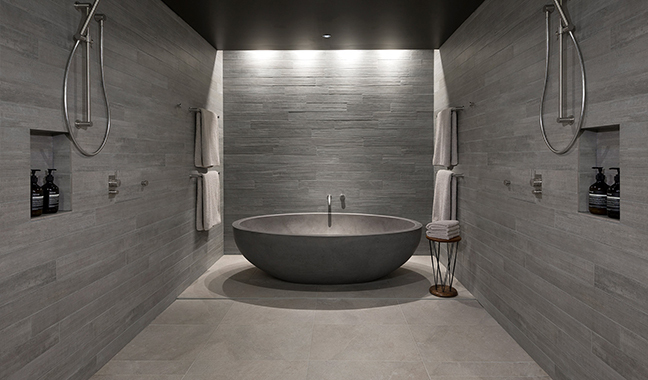 The hotel’s public spaces, which were co-created and designed by Molonglo Group and architectural practices, March Studio and Fender Katsalidis Architects, and landscape architecture designers Oculus, are made from woven concrete blocks and warm wooden ceilings. The areas include: the reception, concierge, library, two large fireplaces, and the Monster kitchen and bar. The rooms were a collaboration between the Molonglo Group; aesthetic curator and video direction, Don Cameron; vintage collector and curator, Ken Neale; and base building architects, Fender Katsalidis Architects (FKA). There are four types of rooms available: Cosy, Original, Creative, and Meandering, each with their own story to tell.